We opened our doors with you in mind. We are conveniently located throughout the East Bay Community. Our advanced diagnostic imaging technology and accuracy allow physicians to pinpoint disease at its earliest state, providing your medical team with unparalleled insight to your care. Our commitment to quality patient care combined with exceptional imaging technology and highly skilled medical staff insure that you receive extraordinary imaging, most convenient to you. 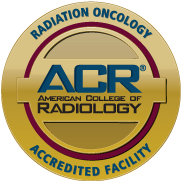 Our Bayside Imaging locations offer ACR accredited diagnostic imaging services. These imaging services include PET and CT offered at all our locations. In addition our Emeryville, Pleasant Hill and San Leandro locations offer MRI scan services.